84.6 million families in the US, about 68% US households, own at least one pet, according to 2017-18 National Pet Owners Survey conducted by American Pet Products Association (APPA). 48% among those pets are dogs and 38% are cats. People are spending billions of dollars to keep their pet safe and sound. The North American Pet Health Insurance Association (NAPHIA) reports that they’ve broken the pet health insurance record in 2017. The combined gross insurance hit $1.2 billion in 2017. It increased by almost 23% more than in 2016. Sounds promising! The sole purpose of spending this huge amount of money is to keep our pets safe in the outdoors. But are they safe indoors, in our houses? To be more specific, what about our kitchens? The kitchen might be called the ‘heart’ of our house and we spend hours upon hours there. 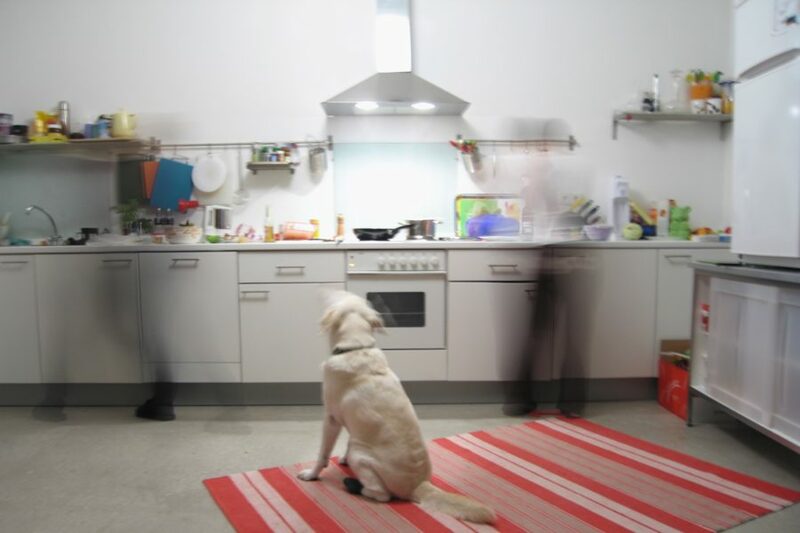 So, is your dog safe in your kitchen? The design represents the mindset of the owner. Everyone tries their best to design their houses as attractively as possible. But getting appreciation from your friends and family isn’t enough! As a pet lover, consider a pet-friendly décor while designing. You know you won’t stay alone in the kitchen. It’s quite natural that Fido also stays with you. If he doesn’t like your design or it is stressful to him, things might appear to be a little off. 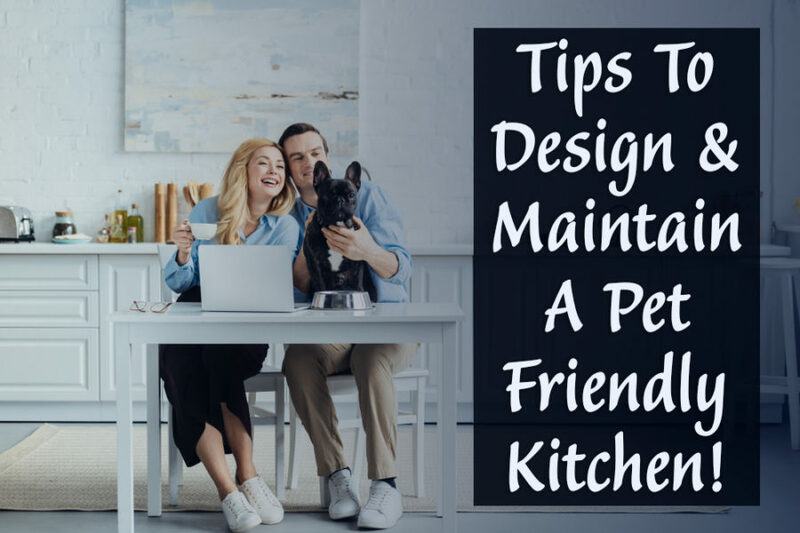 Simply make your existing design a little bit more pet-friendly. Your veterinarian may be able to help you with this problem. Or, if you are going to design for the first time, ask your architect for a pet-friendly design and that’s it! The floor is the most important part of our kitchen. 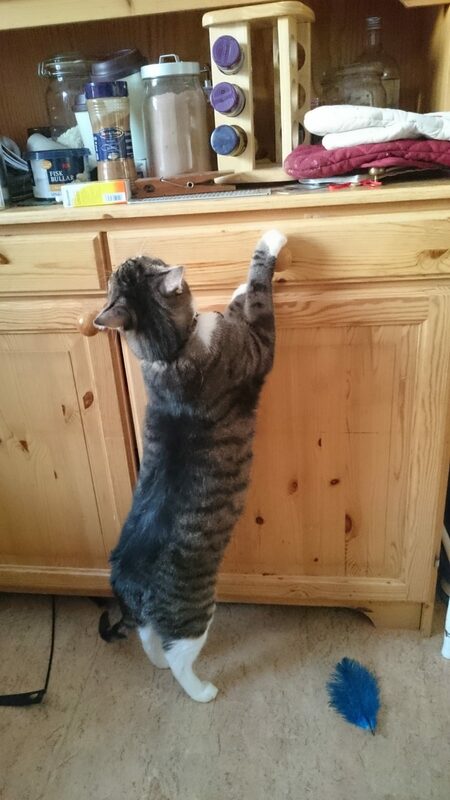 Actually, not only for the kitchen, it is important for the whole house. Dogs spend almost the whole day on the floor. So, the floor must be scratch resistant, damage resistant, and also comfortable. I know flooring is important, but so are the doors and windows. As a dog owner, you have to consider them more than other house owners. You may add a little doggy door on the door and keep an eye on any windows that are about dog height. The doggy door ensures a flexible entry to your kitchen. And the windows keep your pet out of any unwanted danger. For example, your dog may get lost through the kitchen window. It isn’t the most likely of scenarios, but it is possible to have happen. Isn’t it better to ease the possibilities of accidents? Of course, it is! However, in case you got unlucky, no need to be panicked. Report your lost pet with PawMaw. As they can help you find lost and found pets quickly. People love to use rugs in the kitchen. It increases the beauty of the kitchen floor, but choosing a perfect rug isn’t a piece of the pie. A perfect rug means something more than just the look. The trick is to buy a perfect rug is choosing the perfect material. You will find thousands of stunningly designed rugs in the market, but all of them aren’t a good fit for you. Think about your dog before buying the rug. Generally, there are few pet-hair magnet materials like silk, velvet, or chintz. Try your best to avoid those. Instead, go for sisal or seagrass rugs since they are sustainable, disposal, and cheap in price. If you don’t want to buy rugs, go for carpet. Carpet covers your whole floor and can provide safety for a longer time. 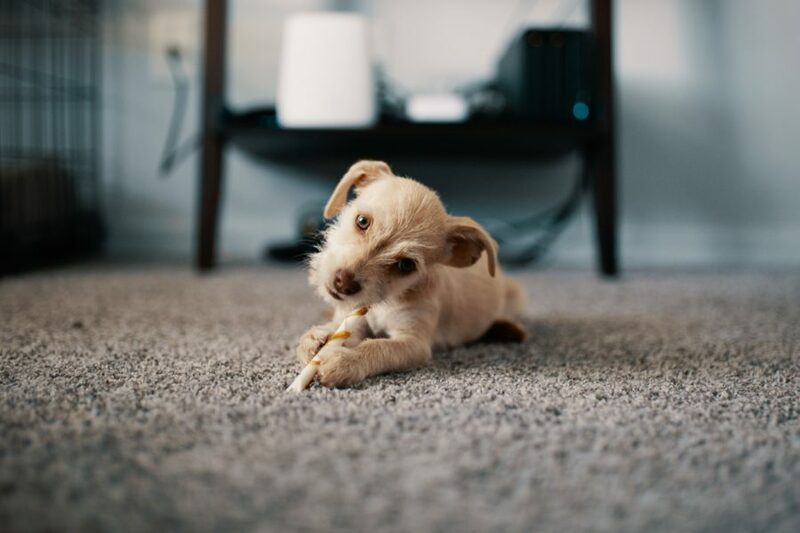 If you decide to buy a carpet, think about the safety of your pet first. Forget velvet, chintz, and silk in the first phase. These materials aren’t a good choice for your house-friend. You can choose Crypton instead of those. Crypton is a nearly indestructible synthetic fabric. It is also resistant to smells, stains, muddy paws, and bacteria’s. Overall, it’s an ideal choice for the pet-obsessed person. However, the choice is always yours! Even if you try to keep your kitchen tip-top, it doesn’t work that way. The floor will get dirty and that’s completely normal. For a pet owner, it’s typical to have pet hair, salt dots, footprints, muddy paws of the pet etc. These may grow some life-threatening bacteria’s on your kitchen floor. It is harmful not only for the pet but also for your family members too. So, clean your kitchen regularly to keep everyone safe. A playground is always a comfort zone for the pets. Further, it creates a friendly environment for the pet. You can create a small playground in your own kitchen. Make a small roller coaster, slider, small cabins and that’s enough at the beginning. You may add few other playing materials depending on your kitchen space. Your dog deserves separate food storage and water bowl faucet right in the kitchen. The food storage will be built with a food bowl attached in the kitchen. Make sure that the bowl can be easily attached or detached from the wall. It’s handy to refill the bowl. Another considerable thing is water faucet. This water faucet will fill up the bowl easily. Even these bowls are generally portable. So, you can easily carry the bowl across the kitchen. Dogs are a curious animal by nature. They love to assume everything is food! Every household has items that can be poisonous to a dog. Most pet owners thinks only the knives are harmful to the dogs, but it’s not just those. Cleaning supplies, medicines, washing powders, and insect repellents are harmful to dogs. So, all of these things must be kept away. 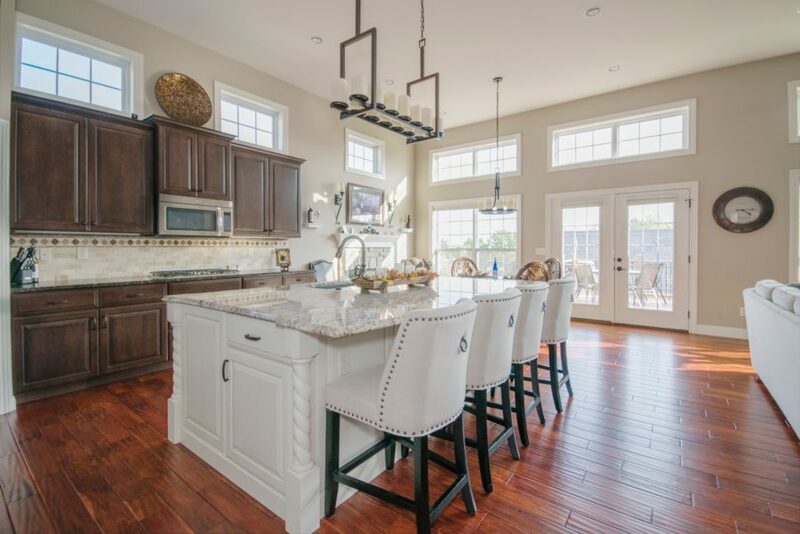 The kitchen is a ‘family room’ for both your family and your pup. So, it is our responsibility to keep this ‘family room’ as comfortable as possible for everyone. About the Author: Lauretta Williams is a web-addicted blogger. She loves spending her time listening to music, playing with her dog and writing blogs from her computer. She also loves to travel the world. She works with PawMaw. PawMaw can help you find your lost pet quickly.